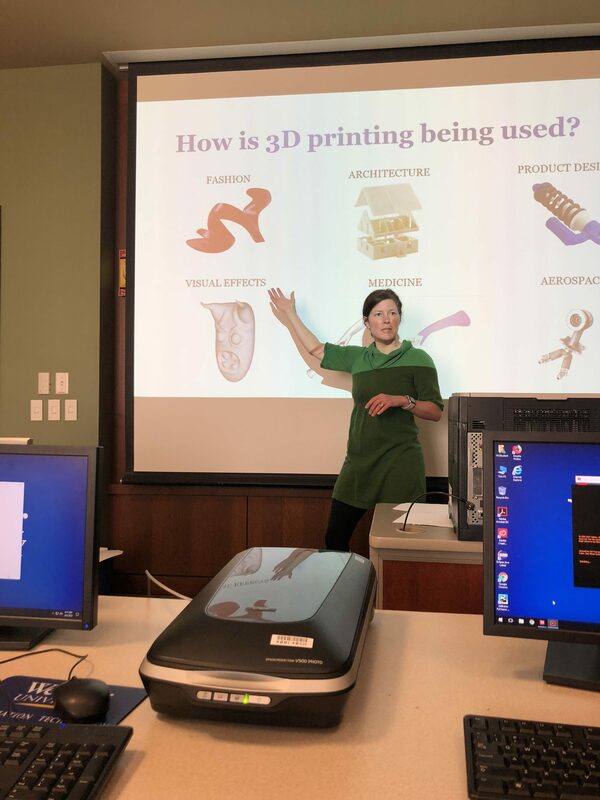 This week I taught a workshop at Webster University on 3-D printing. The purpose of the workshop was to help students better understand ways of using the Adobe Creative Suite which was motivated by the fact that Webster has a relationship with Adobe, and all students receive a free subscription to the Creative Cloud while they are students at Webster. 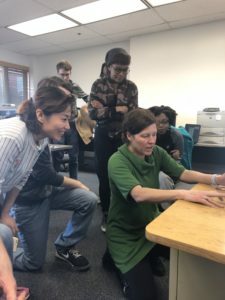 Since I’m very interested in 3-D printing, I immediately volunteered to teach how Adobe CC software can be used to create 3-D models suitable for 3-D printing. In addition to giving them some background information on 3-D printing, showing them how the printer worked, and making a few prints, we also did a couple of hands-on projects. The first project was making a vector-based design in Adobe Illustrator which we exported as an SVG file and then imported into Tinkered. In Tinkered, we extruded it to make it three-dimensional and then finally exported as an STL file for 3-D printing. The next project was making a lithophane using Photoshop’s editing capabilities to prepare the photograph. There are several ways to create lithophanes with a 3D printer, however, the image must be grayscale and have a nice contrast. Photoshop makes it easy to manipulate an image in this way. Finally we looked a little bit at the 3-D modeling capabilities offered in Photoshop. Unfortunately the lab where they scheduled our workshop was not very well-equipped to run the latest Creative Cloud software, and I couldn’t even launch the Photoshop 3-D module in the lab. 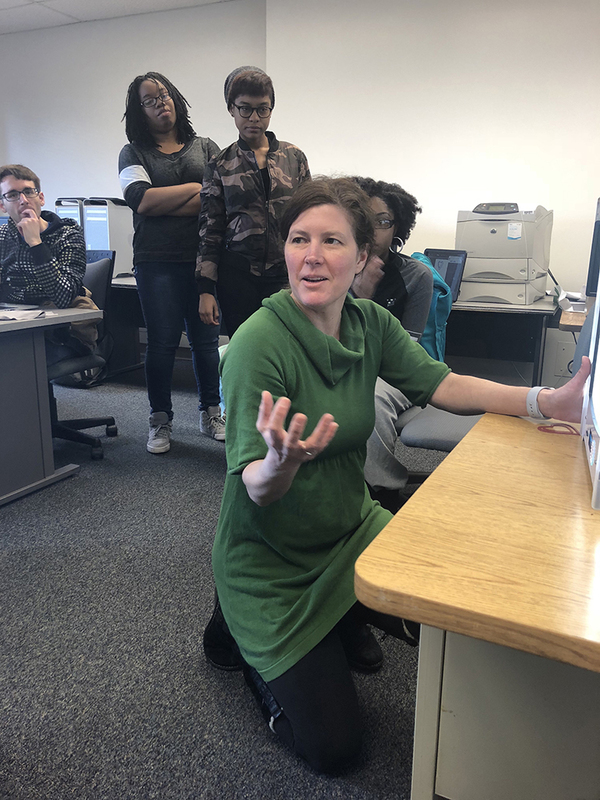 But the students didn’t seem to mind as they were really excited about the skills they learned, and the flood of STL files coming my way students are requesting to be printed is a testament to their enthusiasm for the workshop.